Do you want to make positive changes in your community and the world? 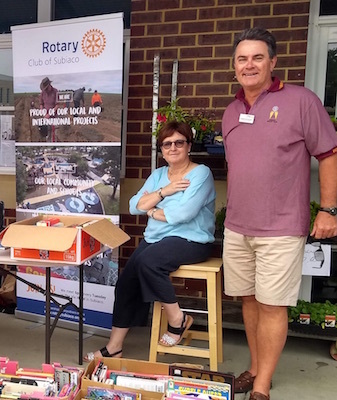 Members and friends of the Rotary Club of Subiaco get stuck into local and international projects, while developing friendships and support networks. Join us. Change the world. 22-12-2018 We will be at the Subiaco Farmers Market once a month in 2019. 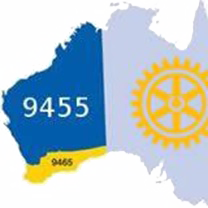 Subiaco Rotary is well past the magic number 64 and its projects and services are very much in demand. 2019 is the club's 70th Anniversary year and we are celebrating on June 9. The Jo Wheatley All Abilities Play Space on Dalkeith’s Beaton Park, has won a national Kidsafe award. Held biennially, the Kidsafe National Play space Design Awards recognise excellence and innovation in the provision of safe, creative play spaces across Australia. The City of Nedlands and Fiona Robbé Landscape Architects were the main winners, taking out the category for large-scale play spaces worth more than $1 million. Nedlands Mayor Max Hipkins said the Jo Wheatley All Abilities Play Space had proven to be a major success since opening in June. “The state-of-the-art playground – the first of its kind on this scale in WA – has attracted people from all over Perth with modern, high-quality play equipment that has been purpose-designed for people of all ages and people with disability,” he said. 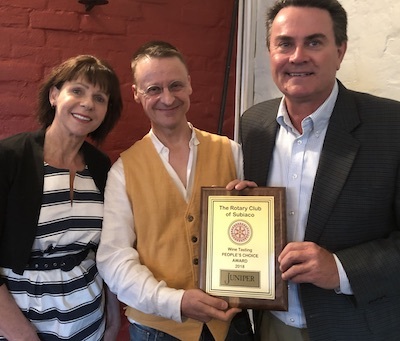 “It began with a unique community partnership initiated by Rotary seven years ago and grew from there with the Rotary Clubs of Nedlands, Subiaco and West Perth raising funds to construct the facility, supported by a Lotterywest grant. The Rotary Club of Subiaco is very proud to be a major sponsor of Orange Sky's new laundry and shower van operating in the Perth South area. Club members Sioux Christiansen and Maarten Noordzy attended Orange Sky's welcome to the new van recently. 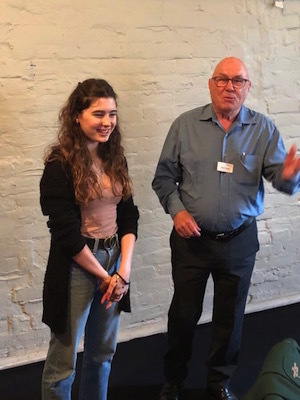 The club had been looking for a group working in a practical way to improve the lives of homeless people. Orange Sky's mission - to provide portable laundry and shower facilities to homeless people around Australia proved to be just the ticket. 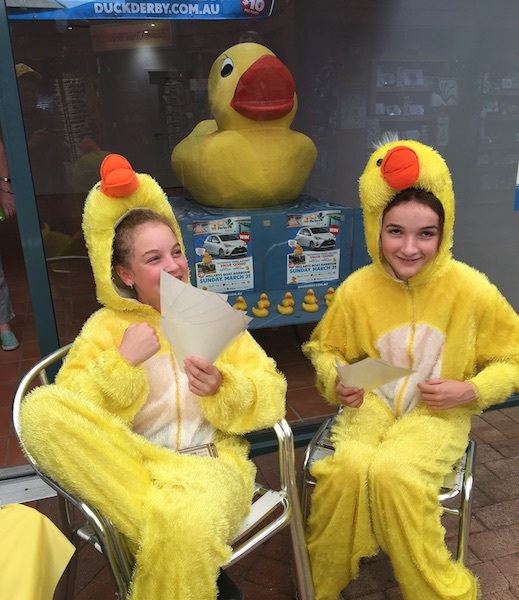 After presentations from Orange Sky and discussions about their operational needs in the Perth area the club decided to fund the new hybrid van's operational and maintenance costs for two years. Bacon and Egg Burgers: Irresistible! 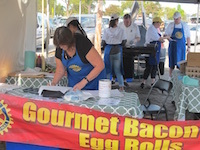 Every Sunday morning the mouth-watering smell of bacon and egg burgers lures shoppers at the Stirling Farmers' Market to the Gourmet Bacon and Egg Burger stall. Tree Planting is on again in 2018! 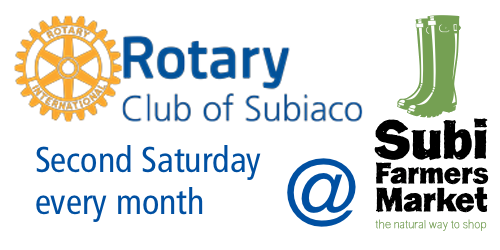 On July 27th the Rotary Club of Subiaco will be heading to Quairading to spend time with our friends in Quairading, to admire the hard working students from Churchlands Primary School and to plant several thousand trees ourselves. 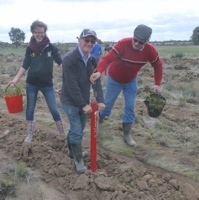 Armed with our PottiPutki, we will be pushing and pulling and planting and unjamming, not to mention having a great time with the outstanding support offered by the Rotary Club of Quairading and their wonderful community. Tree Planting is a highlight of the Churchlands Primary year as the students transfer their school knowledge about conservation and the environment into practical action to save saline land. On Sunday mornings we prepare Gourmet Bacon and Egg Burgers at the Stirling Markets. We meet every Tuesday at The Vic, 226 Hay St, Subiaco. Members and guests meet downstairs at the bar on Tuesdays from 5:45pm. 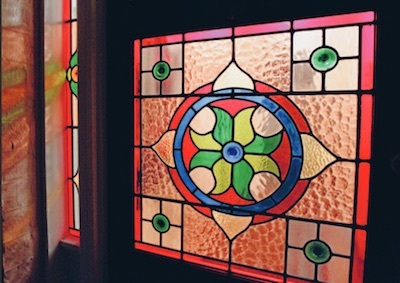 At 6-ish we move upstairs for our (kind-of) formal meeting with guest speaker or to hold round-table discussions about projects, Rotary directorates and general business. We welcome visitors, past members and new members. Find us at the Subiaco Farmers Market on the second Saturday of every month. We are selling used books and CDs and talking to market visitors about Rotary.